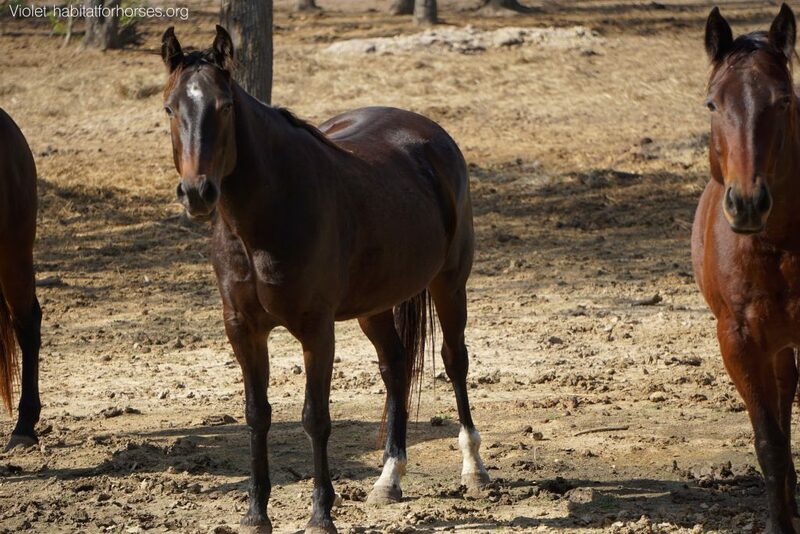 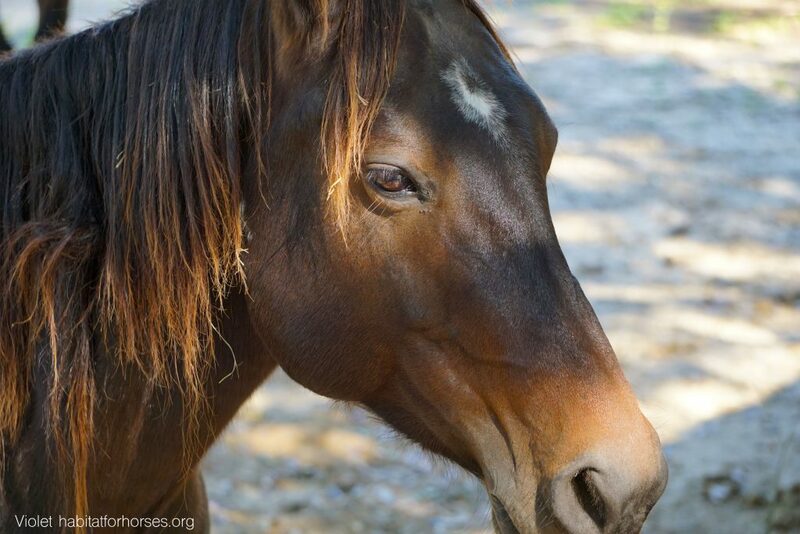 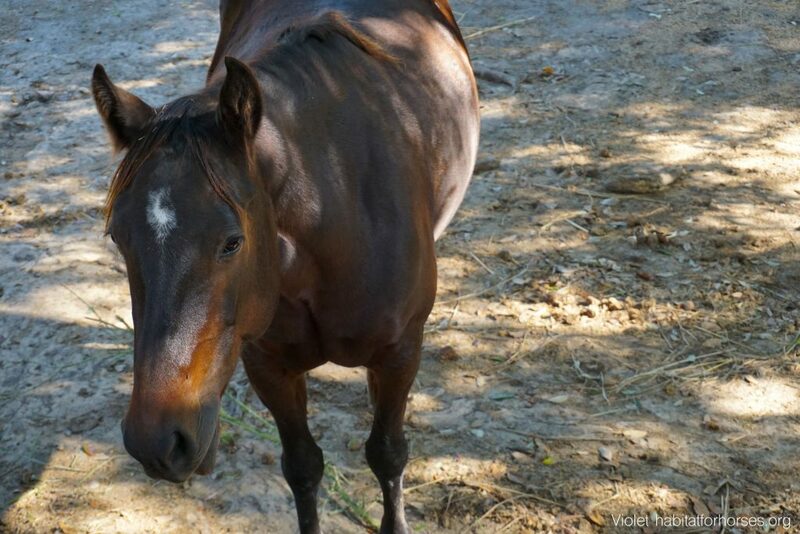 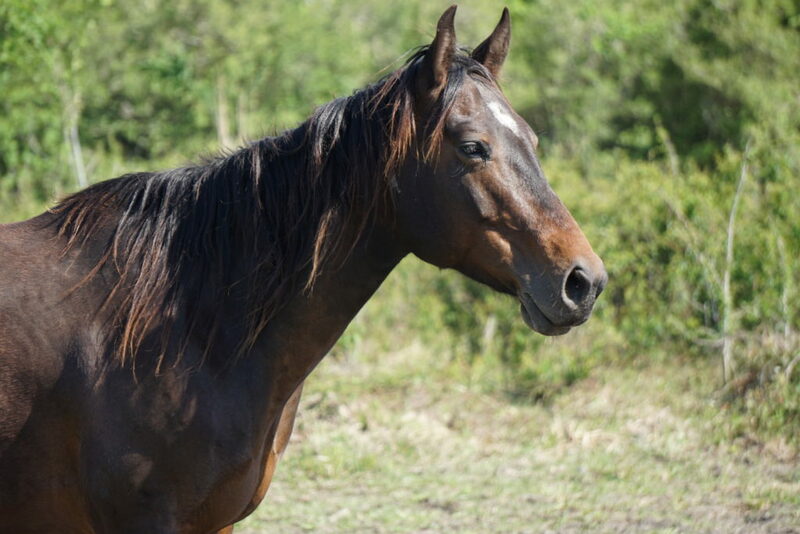 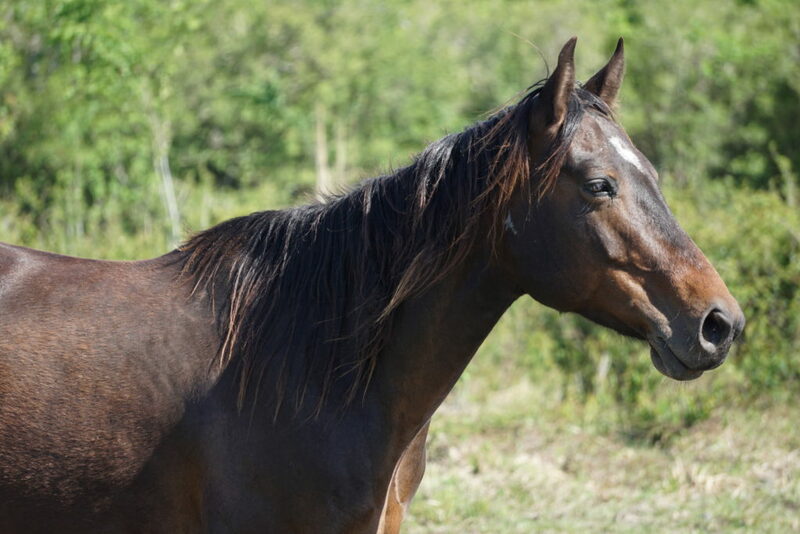 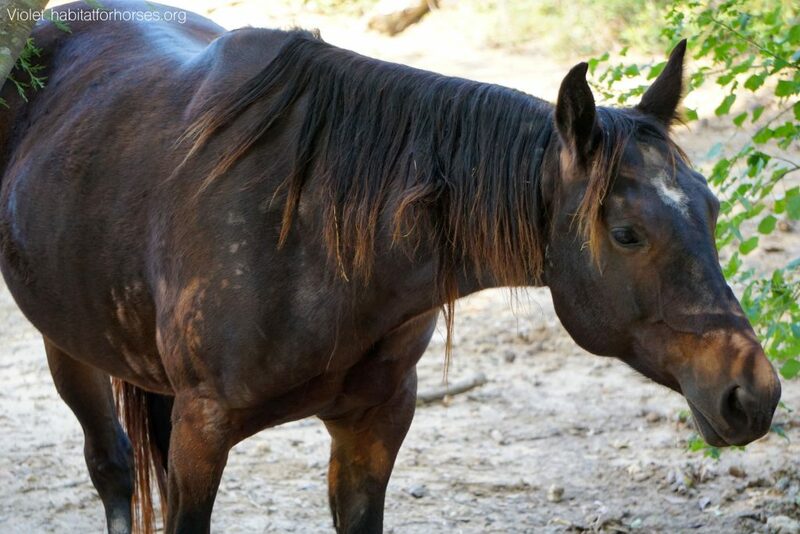 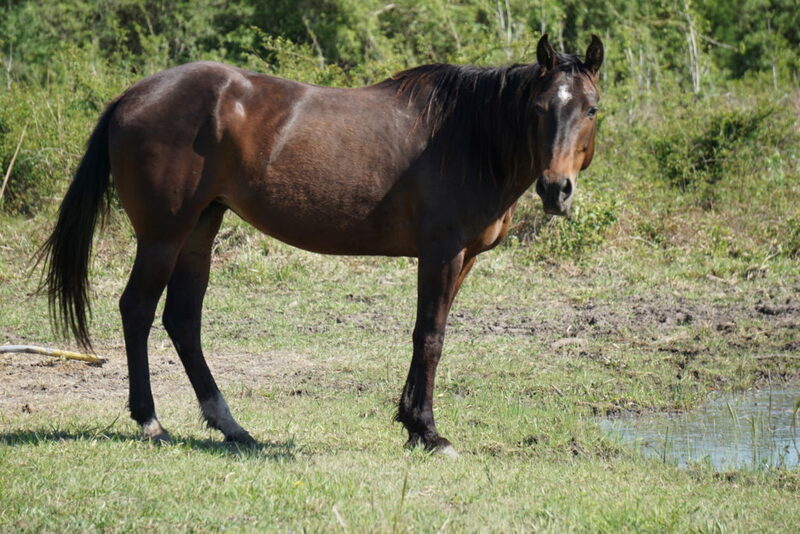 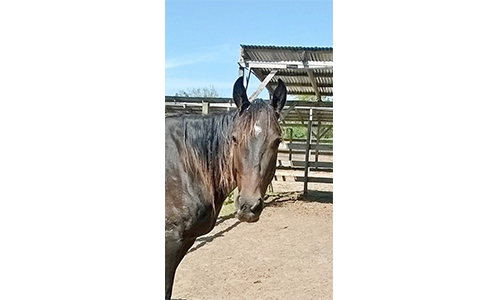 Violet is a bay Quarter Horse who is rehabilitating at our ranch. 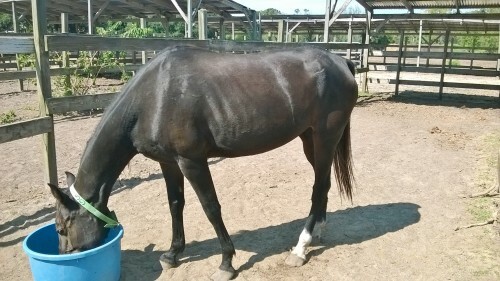 She has a left hind sock and right hind partial sock. 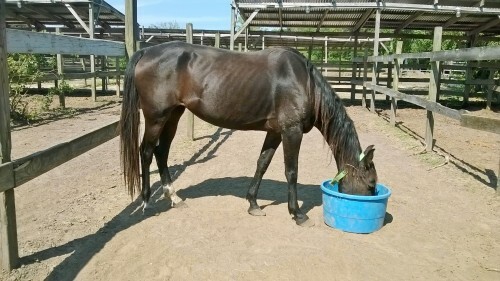 After she is evaluated by our staff for her skills and abilities, more information will be added.